Well, and there it went. October is gone and November is here. How did that happen?! We enjoyed October in our household. We did tons of decorating and loved that the weather finally started to change mid-month. Last night we did a lot of walking up to strangers front doors and asking for free candy, oops, we trick-or-treated. It is a pretty funny concept huh? Oh, but we love it in our house. My kids had such a blast. Now I’m just trying to keep them down to consuming a minimal amount of sugar. The Great Pumpkin may need to make a visit asap. This morning we have packed away all the decorations and I’m starting to plan out the “theme” for our November decor. I’ve started by replacing all the Halloween photos and prints I had added to my photo wall. 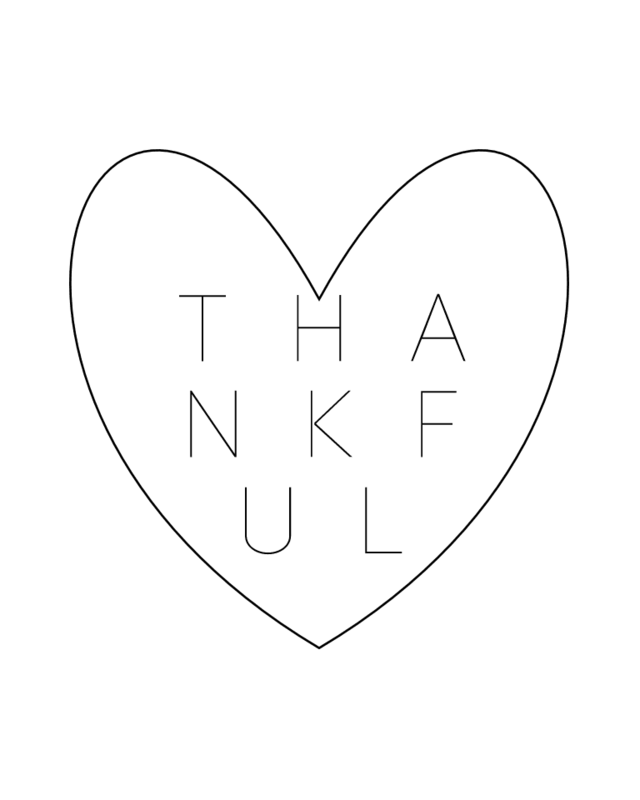 When I’m done I’ll be sure to share, but what I can share for now is the “thankful” printable I have created. We all know how much I love black and white decor, so I just had to create something that would fit with my homes aesthetics. Please enjoy…just right click, save image as and print.